Product prices and availability are accurate as of 2019-03-26 16:17:16 UTC and are subject to change. Any price and availability information displayed on http://www.amazon.com/ at the time of purchase will apply to the purchase of this product. 500 series Ultraman Kaiju Ultra Beast # 51: TELESDON from the Japanese TV program "Ultraman". 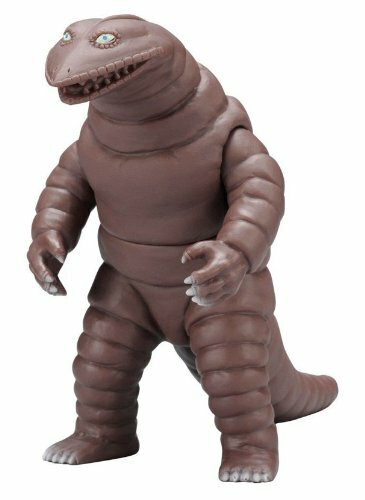 A highly-detailed and accurate reproduction of the Kaiju monster as seen in the original Ultraman TV program or film. Soft vinyl (sofubi) action figure geared up with the Ultra Live Indication coded ID badge at the bottom of the foot. Thanks to this badge, the Kaiju monster comes to life when acknowledged by the DX Ginga (Galaxy) Glow unit or other Ultra Live suitable devices (offered separately/ Japanese language just). Figure has several points of articulation. The size of the figures in the collection differs; the typical height is 5 inches. A highly-detailed and accurate reproduction of the Kaiju monster as seen in the original Ultraman TV show or movie. 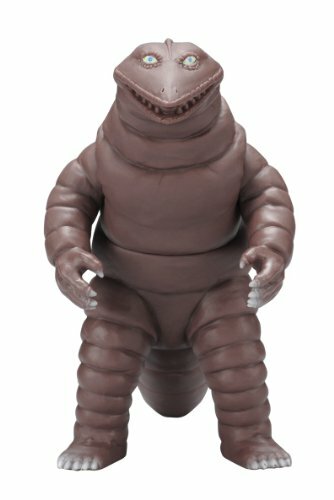 Soft vinyl (sofubi) action figure equipped with an Ultra Live Sign coded ID badge at the bottom of the foot. Thanks to this badge, the Kaiju monster comes to life when recognized by the DX Ginga (Galaxy) Spark unit or other Ultra Live compatible devices (sold separately). A high-quality best-selling Japanese toy made by Bandai, the world's largest toy company and a popular culture icon character in Japan and now the world! The perfect collectible but child-resistant and ideally suited to endless hours of creative play. 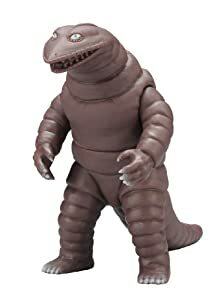 One of a large collection of strange and wonderful Kaiju monsters in the Ultraman Kaiju Ultra Monster collection ("Spark Dolls"). Collect them all!